January 2017 – Camden Area Family History Society Inc.
Open: First Sunday of the month (Feb to Nov), 11am – 3pm. Charles Cowper built “Wivenhoe” on the 600 acres granted to his father Rev William Cowper in 1812. It was named after his wife’s (Eliza Sutton) home in England. 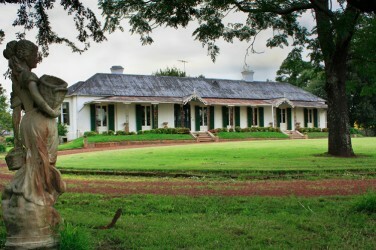 The house was completed in 1838 and its design has been attributed to colonial architect John Verge. Originally named “Buckingham” the property now “Gledswood” was a grant of 400 acres made to Gabriel Louis Marie Huon de Kerillian in 1810. De Kerillian was a French nobleman who fled the Revolution and joined the NSW Corps as Gabriel Lewis, arriving on the “Surprise” in 1794. He was at one time a tutor to John Macarthur’s sons. 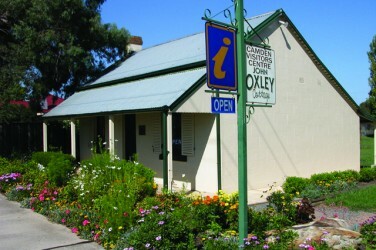 John Oxley Cottage is built on land that was originally part of the grant made by Governor Lachlan Macquarie to John Oxley, 1000 acres in 1815 – Kirkham and 850 acres in 1816 – Ellerslie. 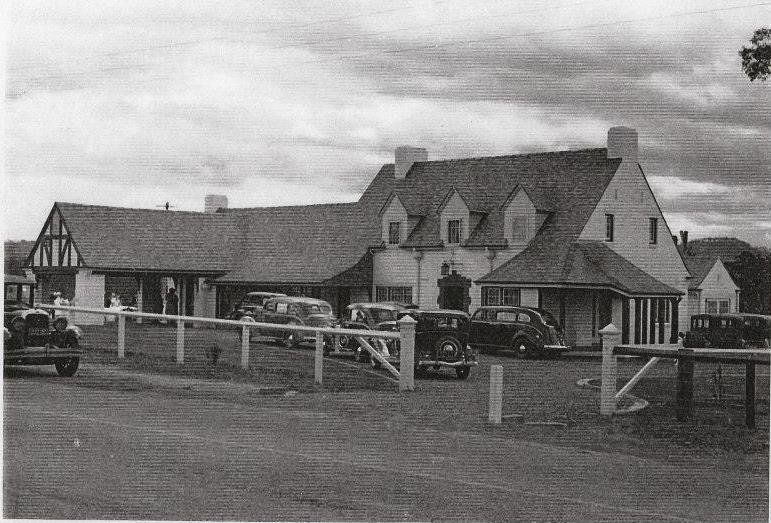 No record has been found of its original builder but it is a typical “workman’s cottage” thought to have been built in the 1890s as part of a row of similar cottages along the road into Camden. Governor Macquarie named this area Cobbedee, and when Gregory Blaxland was granted land here in 1812, he called it Cubbady Farm. 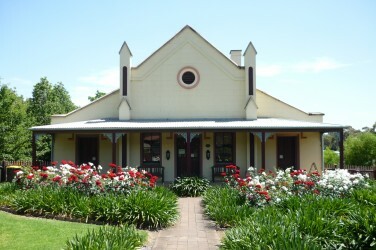 The village of Cobbitty, nestled on the Nepean River, attracts much interest because of the lush country views and beautifully kept historic buildings. Stroll through the markets, held on the first Saturday of the month. 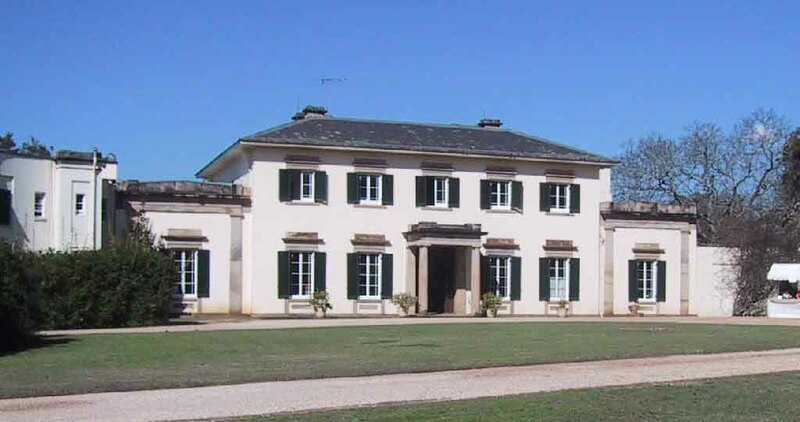 The building and design of Camden Park House, which preoccupied the mind of John Macarthur in the last years of his life, was begun by his sons, James and William, in 1832 and completed in 1835, a year after John’s death. 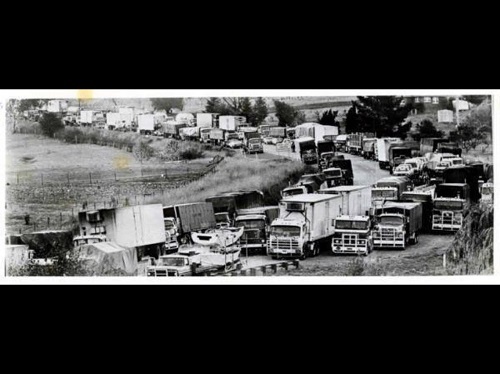 Razorback has panoramic views of the district and to Sydney and was the location for the 1979 Hume Highway blockade by the truck drivers union. This beautiful park was opened 1906 and has a number of different areas including a heritage rose garden, the wisteria walk, the Cenotaph honouring World War I soldiers and a shelter built in 1913 in memory of Mrs Elizabeth Macarthur-Onslow. 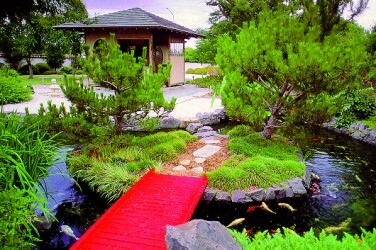 The Japanese Gardens have a traditional waterfall, koi pond, timber bridge, stonework paths and flourishing plants. 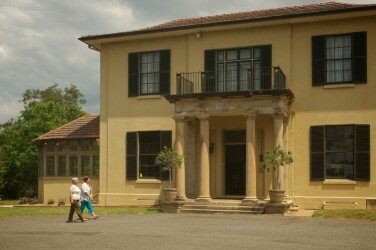 The teahouse was a Bicentennial gift from Koshigaya, Campbelltown’s sister city in Japan.